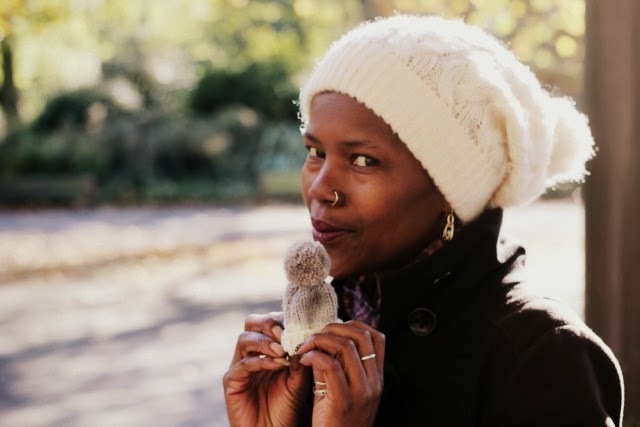 barri & belle: the big knit with innocent smoothies! 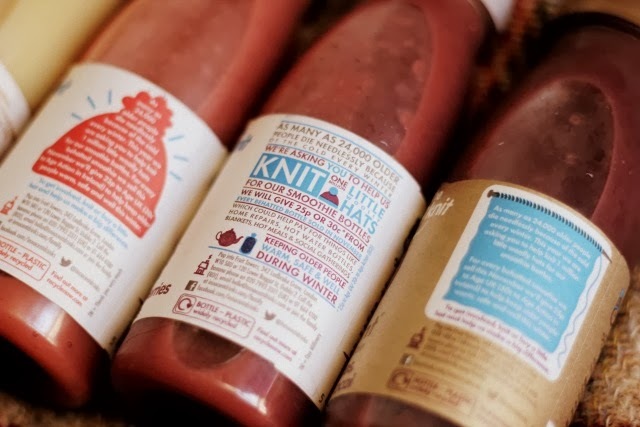 the big knit with innocent smoothies! So, in honour of the 10th Anniversary of the Innocent Smoothies' Big Knit, we thought we'd hold our first ever giveaway on Barri & Belle! And to be honest, we are kind of jealous that we can't enter ourselves. 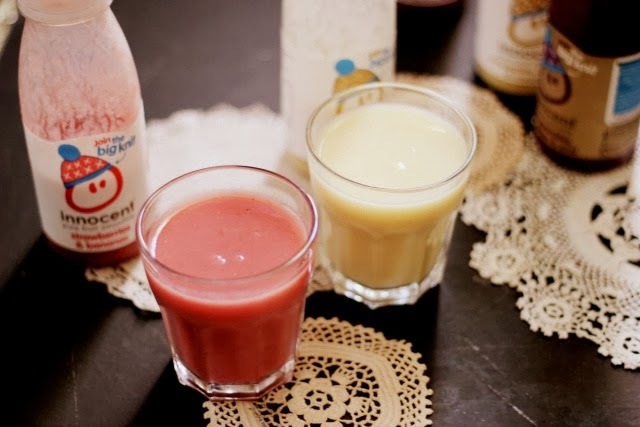 We are offering one lucky reader a month's supply of smoothies which we are positive will keep you feelin' happy and healthy well into the new year. 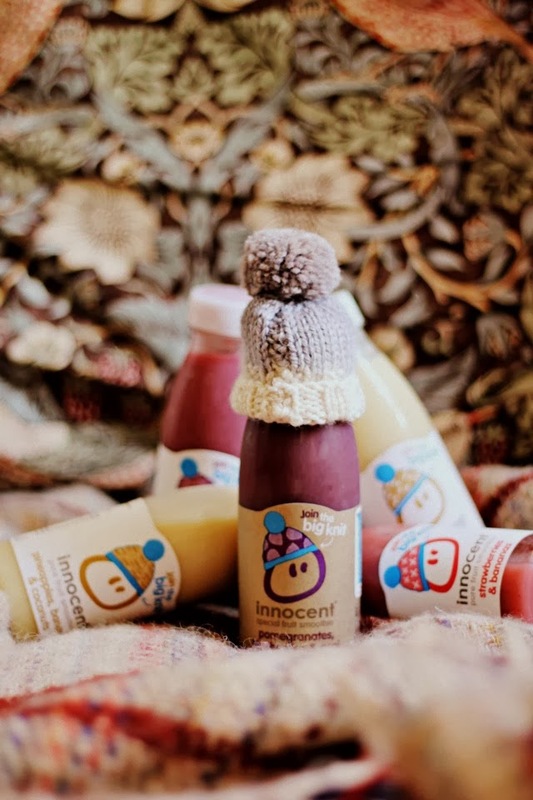 The amazin' thing about the Big Knit is that 25p of every behatted smoothie they sell will be donated to AgeUK, which we think is very lovely indeed. 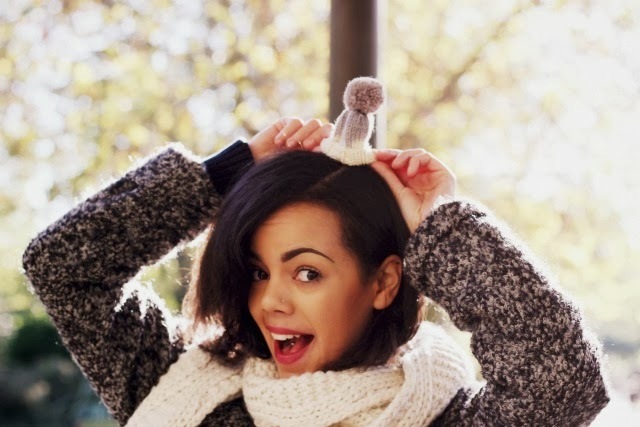 After all, it is important to help keep older people warm, cosy and safe in the colder months! 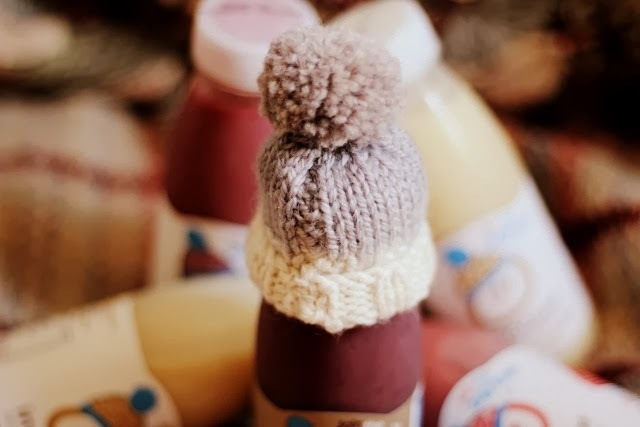 We will most certainly be buying more smoothies over the course of the the Big Knit to support the cause, and also so we can start building up a little collection of the adorable hats! We're lovin' the colour combo of the exclusive Lily hat, we think it matches both of our outfits perfectly! All you have to do to enter is to mention your dream smoothie combination along with your email or Twitter handle, and we'll be randomly selecting the winner on the 25th of this month! Don't forget to give @innocentdrinks a follow if you so fancy, too. Good luck, everyone! What a great giveaway! I love innocent smoothies! I think my dream smoothie combination would have to be something with coconut, almond butter and banana. Mmmmm smothies are my favourite!! Especially innocent ones!! I think I'd go for Cherry, coconut and vanilla bean!! Mmm mmm mmm!! Congratulations! You have one our giveaway! I would love to try a tangy smoothie, something with mango, strawberries, and pineapple. Mmmm! My dream smoothie combo is blueberry and pomegranate! Hmmm...this is a toughy. My taste would depend on the season. But at this very moment I'm craving honey, coconut and banana. I feel extra cheeky so I'll add in some Greek yogurt.Yum! This sounds wonderfully refreshing. 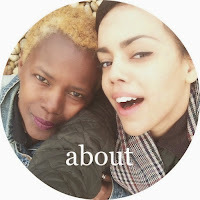 This is my first visit to your blog, so I took sometime to browse through your earlier entries. I really am glad I did that. I enjoy the food and recipes you feature here and I'll definitely be back. I hope you have a great day.